Heinz's Tomato Soup is my absolute number one go-to comfort food. So, when I cut dairy from my diet because it really was making me poorly I was gutted. 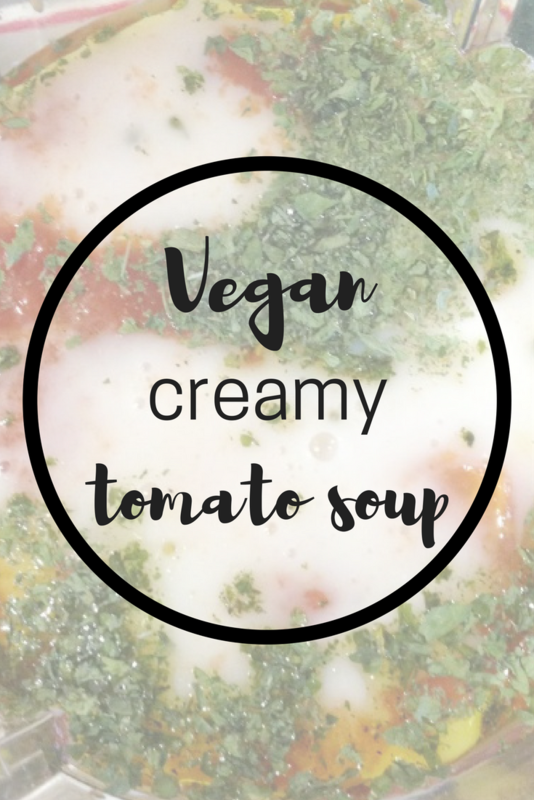 I'm not a fan of thin cup-a-soup style soups that have no dairy in and I felt stuck. After having a look at a few different dairy-free recipes, I mixed them up a bit and came up with this. It's sweet and comforting, without all the nasty additions that are in pre-made soups. My only warning is that the taste of coconut comes through a fair bit, so if you don't like it, then you probably won't like this! This recipe takes less than ten minutes to prep and cook, so is pretty brill for a quick fix lunch! 1.) Peel the garlic and place all of the ingredients in a food processor. I always thought that making your own soup would involve hours of careful cooking, but this is pretty much the key step! 2.) Turn on and "process" the food for about two minutes. 3.) Place in a saucepan and heat for five minutes. Make sure it does not boil. And enjoy! If you like a little bit of extra spice in your food, why not add a dash of chili or paprika?